Ezeio Controller – Wireless – AYA Instruments, Inc. 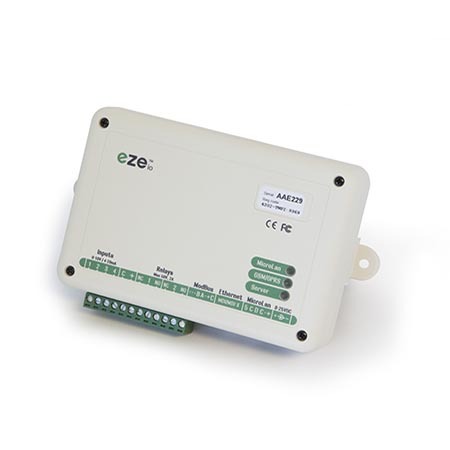 This is the standard Ezeio controller with a short range wireless transceiver built-in. The radio is used for adding wireless sensors, inputs and outputs to the system. It has a range of up to 100m (300ft) and is using a secure, frequency agile protocol on the 868/900Mhz bands. The Ezeio comes complete with power supply, an Ethernet cable and 4 months of basic service. Additional service is easily purchased via the web interface. Access to the web UI for configuration and live data is included for life.